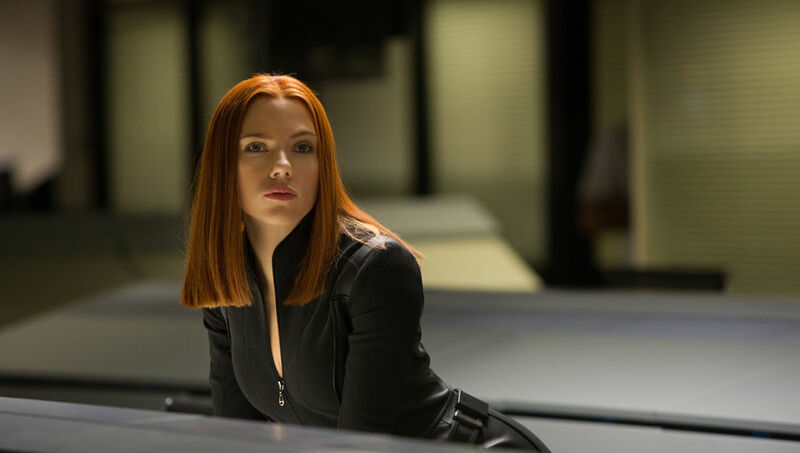 Rumors about a potential Black Widow movie have been going on for years. But this time fans think it might be close to filming, and even have enough footage to show a full sizzle reel at San Diego Comic-Con. I try not to take every rumor about a Black Widow movie as gospel. Back in 2014 the Mary Sue famously posted an article stating a Black Widow film was confirmed, then had to walk it back. Since then, things have gotten a lot more solid. We have a writer and a director for the film now, so we know it’s at least in pre-production. Still, it’s not listed as having an official release date on the MCU schedule yet. The best we have to go on is that it’s due to begin filming sometime this year – possibly “sometime in March.” We’re closer to having something here, but things are still rather vague. However, fans are gonna speculate, as fans tend to do. At first this tweet seemed far-fetched. Surely we’d know more if filming for a Black Widow movie was scheduled to be complete in the next six months, wouldn’t we? Maybe something could be coming in a couple years, but this year? No way. But on second thought, this speculation might not be that far off. After Spider-Man: Far From Home‘s release on July 5th of this year, there’s nothing confirmed for any of the usual dates (fall/spring/summer). Originally we were slated to get Guardians of the Galaxy 3 in late 2019 or early 2020 but then all that James Gunn stuff happened. Now that film’s on hold for a couple years. Black Panther and Doctor Strange are also going to have films, but likewise there’s no date set in stone. This leaves a huge gap in the MCU schedule that could be filled with any of the pending projects Marvel Studios has coming down the pipeline. That includes the Black Widow film. This is the first time since the very early days of the MCU where we haven’t had a couple years worth of films lined up with confirmed dates (though occasionally those dates would shift as to not conflict with other major releases). The last film is only six months out and after that it’s a mess of speculation and rumor. The fact that everything we know about the MCU for sure ends just two weeks prior to San Diego Comic-Con makes it a perfect opportunity to announce a lot of new information. This kind of info dump would fit in perfectly with how Marvel Studios likes to shock and awe the Hall H audiences historically. Remember the Loki thing. As a side note, the Black Widow film is also speculated to be the first R-rated installment. This might explain why they didn’t want her to be the first woman to lead a solo MCU film. They knew anything that was ‘first’ would have a large impact and they may have wanted it to be accessible to a younger audience. Now that the barrier has been broken with Captain Marvel, Black Widow is free to experiment in a different way. So what are the odds of the Black Widow movie dropping a sizzle reel at SDCC? Not terribly high, but still in the realm of possibility. With D23 a month later, Disney could forgo SDCC altogether and dump any new Marvel Studios news at Disney’s own convention. Even if they do show up to SDCC, we have no idea which of these many works in progress they might want to actually promote. With a sudden gap in films, they could focus on pretty much any of them. So conclusion: who knows? But maybe. Possibly. We’ll see? UPDATE: Shortly after publishing this piece, rumors began to circulate that production is being pushed back to June. If true, a sizzle reel is almost completely out of the question. A presence at the con is still possible, however, and an early 2020 release date is feasible if they accelerate production. Previous:Wednesday Webcomics: Anything but Ordinary, It’s unOrdinary!